If you need OSHA approved certification to operate aerial and scissor lifts, you’ve come to the right place. CertifyMeOnline.net ’s training simplifies the process of getting the quality aerial and scissor lift training that both new and experienced operators need. CMO’s same day operator training and certification costs just a fraction of the cost of other programs. If you’re a business owner or employer, begin by registering with CMO. There’s no charge to enroll your company in our system. Once you’ve registered, pass the information along to your employees so they can create their student log-in accounts. The cost is just $75 per operator trainee. Payment is made online by credit card through our secure payment page. After making your payment, create student usernames and passwords. Students can log into the company account from any computer or digital device any time and anywhere there’s an internet connection. All aerial lift and scissor lift training materials are available online 24/7. • There are no books or videos to buy, costly training facilities to rent, or special times to schedule. Simply work through the online modules, at your own pace, and pass the quizzes and tests as you go. • The program DOES NOT time out – you can spend as much time as you need to complete the curriculum and test. • Your operator may review and CORRECT any incorrect answers on the test – our pass rate is 100%! As soon as you complete your aerial lift or scissor lift training course, you can download and print a temporary operator card. Your permanent operator card and certification will be mailed to you within seven to ten days. Why Choose CMO Over Other Lift Training Programs? This training will equip workers with the knowledge and skills they need to safely operate aerial and scissor lifts. It will also help employers avoid costly fines from OSHA, as well as avoid potentially serious lawsuits and legal problems. • Fall Protection Training. Protect your employees against serious injuries and even death from falls by enrolling them in our Fall Protection Training and Certification. This training also helps employees avoid OSHA fines and civil lawsuits. • Train the Trainer Instruction. Our OSHA approved Train the Trainer certification program lets employers qualify an individual or individuals to train and certify current and future aerial and scissor lift operators in-house. • Forklift Operator Training. CMO has been providing Forklift Operator Training for the past twenty years. As with our other training, our forklift operator certification can be completed online in about an hour. • Refresher and Recertification Training. OSHA requires all aerial and scissor lifts operators to be recertified every three years. When you receive your lift operator through CMO, our Three Year Renewal training is free for life. 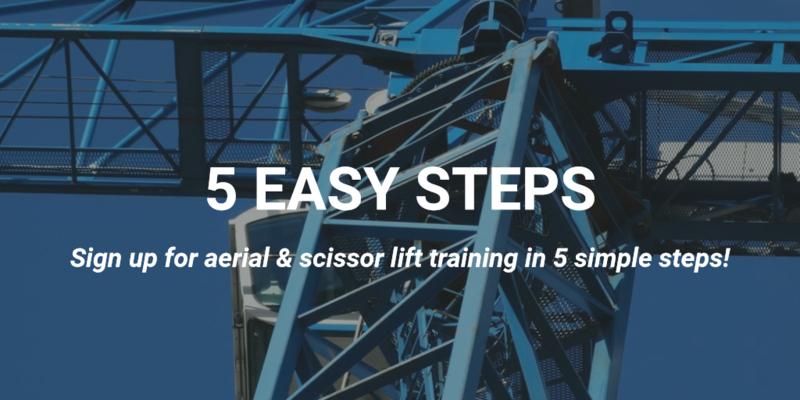 Sign up for our aerial and scissor lift training – or any of our other online training courses – today, and you can be qualified to start a new exciting and rewarding career tomorrow! Contact us today online or call us at 602-277-0615 to learn more!